A 25-year-old young male presented with progressive shortness of breath and palpitations for 4 years. Clinical examination revealed a collapsing water-hammer pulse (100/min), BP 140/50/0 mm Hg and raised jugular venous pressure (5 cm above the sternal angle); on auscultation severe aortic regurgitation (AR) and mild mitral valve regurgitation (MR) was present. In addition, the patient had typical skeletal features of Marfan's syndrome with positive "wrist" and "thumb" sign [Figure 1]a and b. 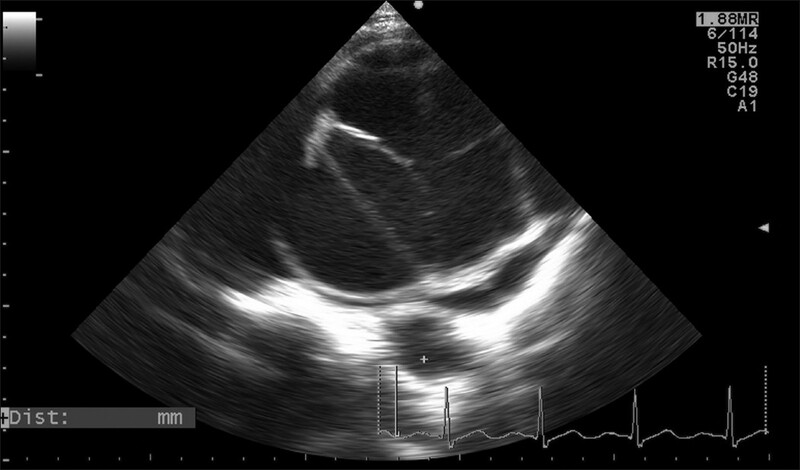 A transthoracic 2D echocardiography demonstrated aneurysmally dilated aortic root and ascending aorta, non-stenotic bicuspid aortic valve and severe AR. [Figure 2], [Videos 1] and [Video 2]. The proximal aorta was so enormously dilated that the left atrium was severely compressed and barely visible posterior to the aorta in the parasternal view. The aortic annulus, aortic arch, and descending aorta were all normal in size. Mitral valve prolapse with mild mitral valve regurgitation was also present. A 64-slice computed tomography (CT) examination confirmed the echocardiography findings of the generalized dilatation of ascending aorta [Figure 3]a and b.